(July 25, 2018) – On Wednesday, July 25th, the House Appropriations Committee approved the Fiscal Year 2019 Homeland Security Appropriations Act. The funding bill provides $350 million each for the Assistance to Firefighters (AFG) and Staffing for Adequate Fire and Emergency Response (SAFER) grant programs. This is the same amount as the programs are funded at in the current fiscal year. The bill also funds the United States Fire Administration (USFA) at $44,993,000, the same amount as requested in the White House’s FY19 budget proposal and $596,000 over the current fiscal year. This amount also includes $1.5 million for infrastructure improvements at USFA’s Emmitsburg, Maryland campus. Additionally, the bill increases funding for the Urban Search and Rescue System (US&R) to $45,330,000. The program is currently funded at $35,180,000. The White House requested only $27,513,000 for US&R in the Administration’s FY19 budget proposal. On June 21st, the Senate Appropriations Committee approved S. 3109, the Senate version of the Fiscal Year 2019 Homeland Security funding bill. The House and Senate versions of the spending bill will now be considered by their respective chambers. If approved, the appropriators will meet in conference to resolve any differences in the bills. The current fiscal year ends on September 31st. 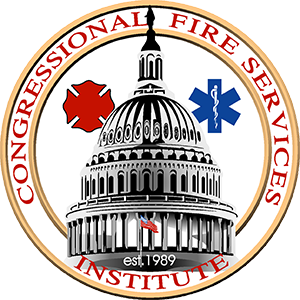 CFSI will continue to provide updates throughout the appropriations process.